– Give up. Just quit. Because in this life, you can’t win. Yeah, you can try. But in the end, you’re just going to lose, big time. Because the world is run by The Man. – The Man. Oh, you don’t know The Man? He’s everywhere. In the White House, down the hall… Miss Mullins, she is The Man! 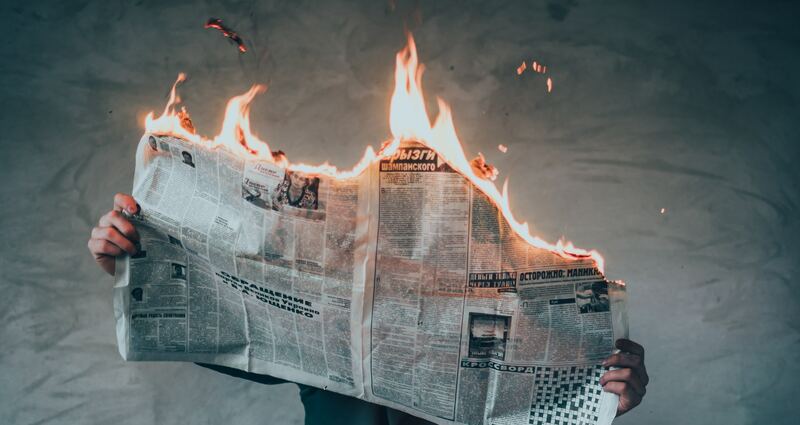 In the October 2018 edition of the Trading Justice newsletter, we’ve talked about hyperinflation, which consists of a steep devaluation of a country’s currency, causing its citizens to lose confidence in it. In a hyperinflationary environment, we experience a rapid and continuing increase in the cost of goods, and also in the supply of money creating a vicious circle, requiring ever-growing amounts of new money creation to fund government deficits. The memorable quote presented in the beginning sets the stage for us to continue this saga. It shows Dewey Finn (a fugazi Professor Schneebly), played by Jack Black, teaching the children that it doesn’t matter how hard they try to make anything cool, pure or awesome because The Man is just going to call them a fat washed up loser and crush their souls. They can’t even stick it to the man anymore, because the rock ‘n roll was also ruined by The Man when he created this little thing called MTV. Just give up. In this edition, we’re back in the realms of the Fugazi to explore the root of all this evil: The Man. The Man is a sick person. He has a behavioral addiction: creating money out of thin air, with no value. He does the same thing over and over expecting different results. That is one of the many definitions of insanity. The Man is the Central Bank, the FED, and the IMF. He is all the Presidents, he is Wall Street, he is everywhere and he is everyone. The Man is working behind our backs while we think we’re building wealth. Nothing could be more delusional. Wealth built with money that has no value is like building a castle made of sand. The Man works with a very talented group of people that loves developing some incredible innovations around throwing liquidity into the system. Like a one-note samba, they never deviate from the main theme. However, The Man has no skin in the game, and this is when things become very dangerous. The few cases of hyperinflation we’ve depicted in the last edition must have given you a good idea on how it was like to live in those countries. When things blow up, The Man shows up on TV to tell everyone “I’m sorry. From now on we will be deploying a new economic plan that consists in (insert here some more derangement developed to fix the last derangement)”. The skin is ours. The Man is weak and he has flaws. It’s OK, we’re not going to fix them but use them in our favor. If we portray The Man as Ian Fleming’s 007 Spectre, with its many tentacles, I guess we can say that one of them is the FED. And this is what this November newsletter is all about. In the beginning, there was no FED, and there was darkness. By the way, that statement is not true. The Man would want you to believe it is true so his presence can be justified. It is not that the USA, without the FED was like a no man’s land. It is not the U.S. Federal Government wasn’t meddling with banks long before the FED either. The FED is the third central banking system in United States history. Before it came to life via The Federal Reserve Act of 1913, there was The First Bank of the United States (1791–1811) and the Second Bank of the United States (1817–1836). The naming is incredibly creative. Both banks, the First and the Second, established interstate branches, issued currency, made commercial loans, accepted deposits and also acted as fiscal agents for the U.S. Treasury. The U.S. Federal Government controlled ⅕ of each via stock shares and also appointed ⅕ of their directors. Well, who controlled the other ⅘? Wealthy investors. It goes without saying that it caused many troubles, especially among state banks. They opposed to those quasi-governmental banks saying that they were nothing more than very large competitors arranged as a cartel. Going a little bit back in History we will find that Thomas Jefferson—American Founding Father and the third President of the United States (1801–1809)—foresaw this problem coming, the unfair competition to state-chartered banks. 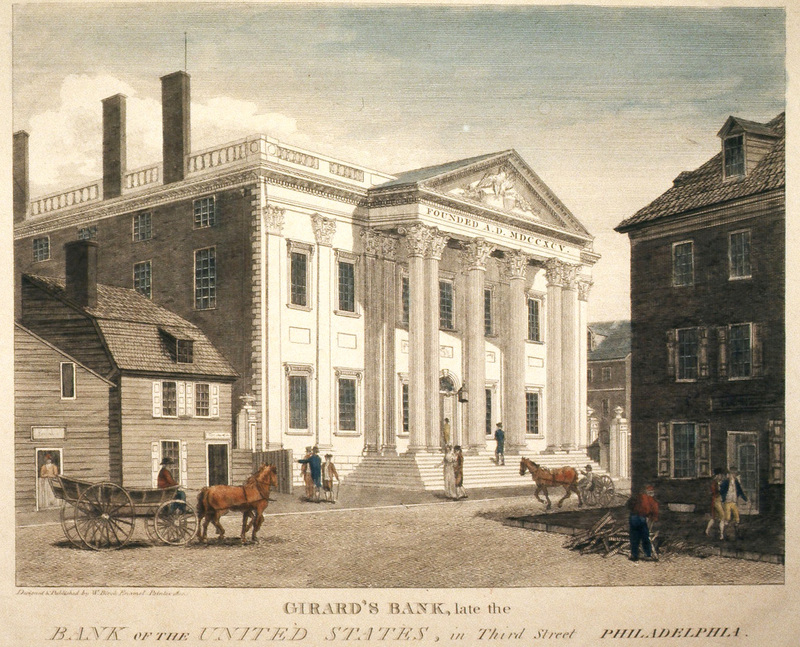 The Second Bank of the United States almost 20-year charter was not renewed, opening a period of “free banking”, during which no banks were allowed to branch across state lines. The banknotes issued by state banks were backed by state bonds. These so-called “free banks” were required to hold a number of state bonds equal to the banknotes they issued. Obviously, it brought some problems to the banking system due to the illiquidity of these bonds. The “free banking” system was not entirely free. 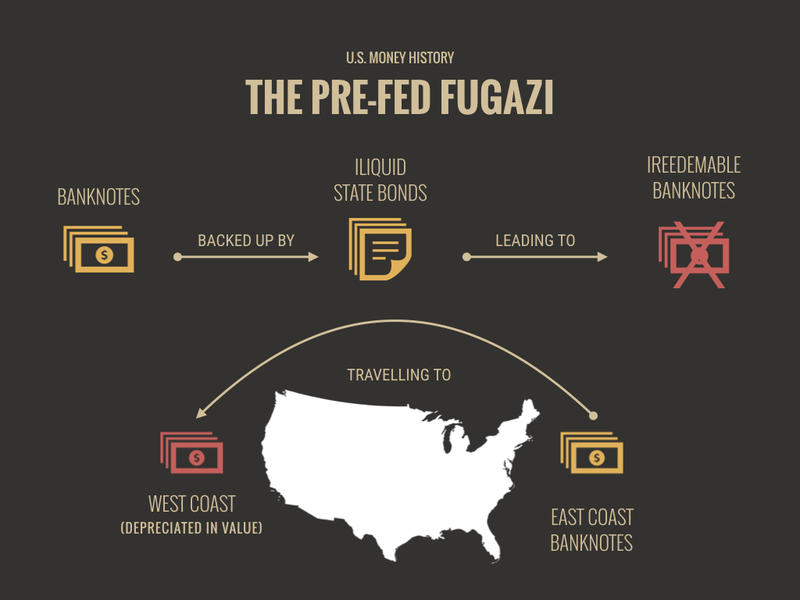 The fact that they weren’t allowed to branch across state lines prevented the development of a healthy clearinghouse system to exchange banknotes which could easily travel from coast to coast, causing their value to fall to a discount (do you know what a fugazi is?). Two other problems emerged from it: (1) a messy ecosystem where fraudulent issuers sprout, and (2) banknotes backed by illiquid state bonds led to a general public fear of irredeemable banknotes. To prevent panic. That doesn’t answer the question posed in the title in its totality. There must be some prior historical narrative to back it up. We’ll keep it simple. The American Civil War (1861 – 1865) came with all the heavy burdens any war can bring. One of them was money manipulation. The issuance of a fiat currency (the greenbacks), the establishment of the National Banking System, the discontinuation of the gold standard and the federalization of the U.S. currency were the four most important milestones from that time. National banks were, from that moment on, the only issuers of banknotes. Now, we ponder: were there any improvements over the “free banking” system? Not at all as the same problems insisted to exist, mainly the same lack of branching and the same government bond-backed banknotes. This system of government bond-backed banknotes was a trap: Treasury bonds declining prices would drag down the amount of currency the national banks had in circulation. This imposed a serious liquidity problem, exposing a fragile system. People would remove their funds from the bank if there were any rumors about liquidity problems. Additionally, by the end of the 19th/beginning of the 20th century, banks were lending more money than their assets could cover. 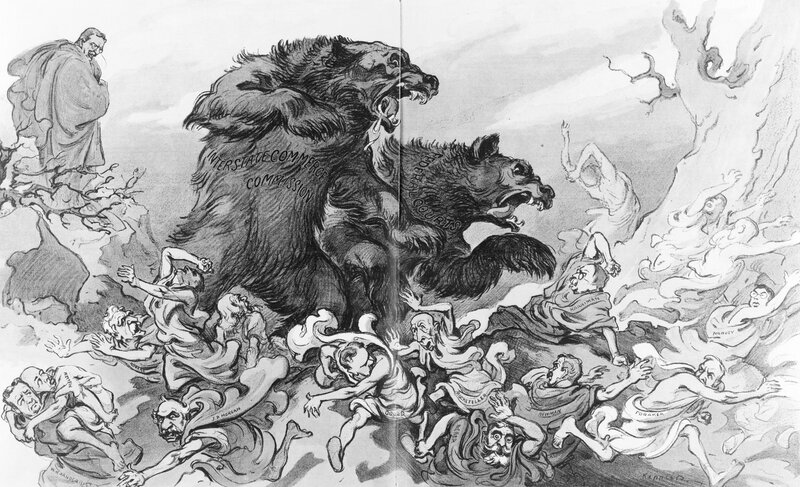 This created the perfect scenario for the Panic of 1907 and the subsequent creation of the FED. Let us digress a little bit. After the Civil War and before the 1907 panic, there were two important milestones in the U.S. money history. 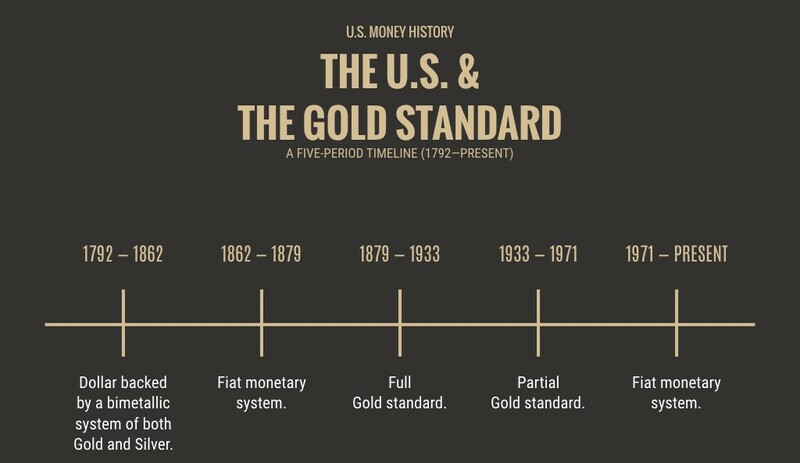 In 1879, the U.S. Government adopted the Gold Standard and in 1900 they passed the Gold Standard Act. 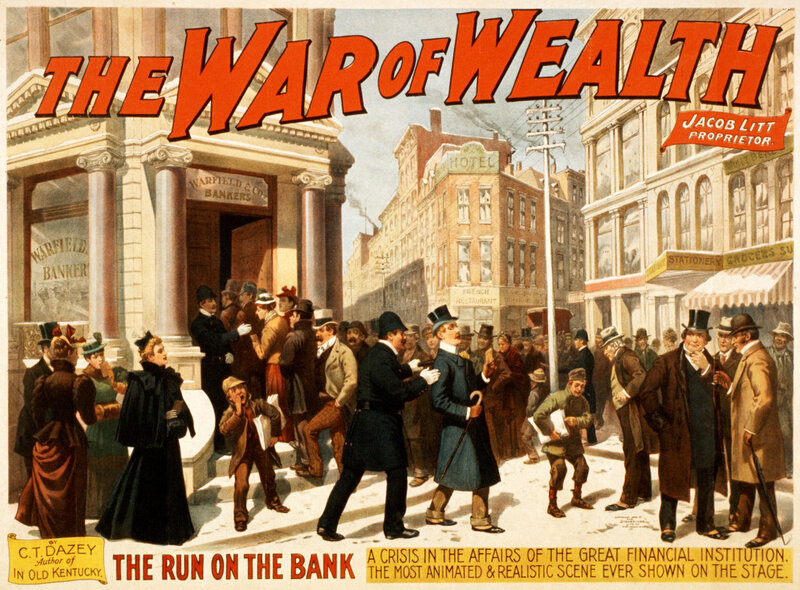 The second period—from 1862 to 1879 (100% fiat monetary system)—corresponds to the Civil War period. The U.S. Government was in desperate need to fund the war leading the Congress to pass the Legal Tender Act in 1862. During this period, $450 million in paper currency was printed and inflation rose by a staggering amount of 80%. By the end of the Civil War, the national debt had reached $2.7 billion. End of digression. Continuing with the panic. During a three-week period in October 1907, the NYSE fell almost -50%, leading to a panic that spread throughout the U.S leading banks—both state and local—and businesses to file for bankruptcy. Behind the scenes, we found stock manipulation (the cornering of the United Copper Company), liquidity problems and the loss of confidence among depositors, which led to a run on the banks to withdraw their deposits. A hundred years later (2007) we would experience another panic, in a slightly different way. History tends to write its own rhymes, I suppose. Who solved the problem? Not the nation’s Treasury system but the bankers themselves. Although the money supply was controlled by the Treasury system, it was bankers like J.P. Morgan (the dominant banker in New York City) who put large sums of their own money to stop the bleeding, preventing the panic to go even deeper. In other words, they have injected liquidity into a system that was illiquid and fragile. That’s the one-note samba we’ve mentioned in the introduction: how do they solve liquidity problems? Throwing liquidity into an illiquid system. Problem solved. Another thousand created. Safer, flexible and stable. Easier said than done. The panic of 1907 didn’t start the U.S. baking system problems, only brought them to surface. Even before that event, there were plenty of motivations for banking and currency reforms already. In 1908, the Congress established the National Monetary Commission with the single purpose of studying banking and currency reform. Their first mission: travel to Europe to learn from the Old Continent. And so they did, returning to the United States with plenty of ideas. The most important of them all was the sheer necessity of a Central Bank to replace the old, fragile, illiquid and panic-prone government-issued bond system. It took years of meetings, studies, hearings, (heated) debates, and amendments to create the Federal Reserve. In 1913, the Federal Reserve Act passed both the House and the Senate under Woodrow Wilson’s presidency and the FED was officially established. “What about the Fugazi?”, you might ask. Do you remember this chart from the October newsletter? 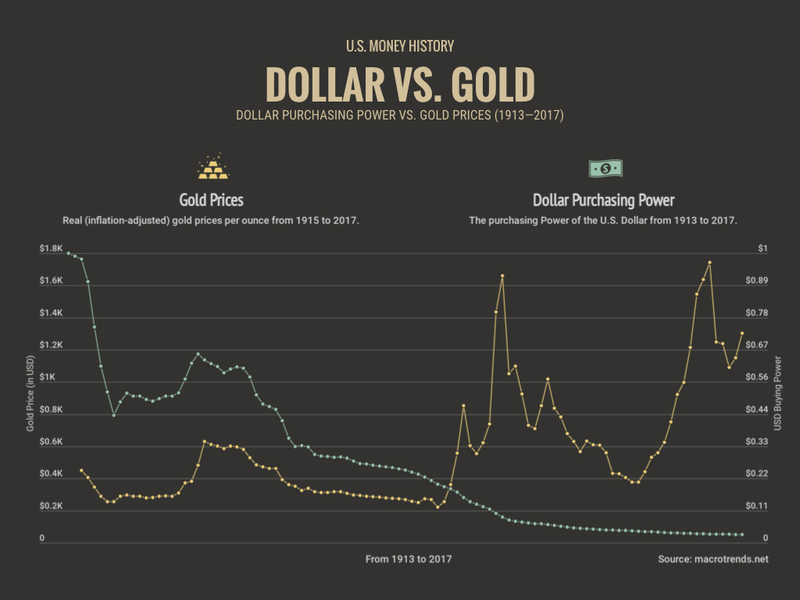 The green line shows the dollar purchasing power from 1913 to 2017. We’ve published this same chart with a different design in the last edition. Notice how steep the Dollar purchasing power becomes a couple of years after the creation of the FED. And look at the purchasing power today. Fairy dust. Despite short-term divergence, due to the dollar being backed by gold, the relationship in price remained fairly close to one another, in other words, correlated. However, after the Nixon Shock, in 1971, when the U.S. abandoned once and for all the Gold standard, gold skyrocketed in value being one of the best performing asset classes in the 1970’s and 2000’s. 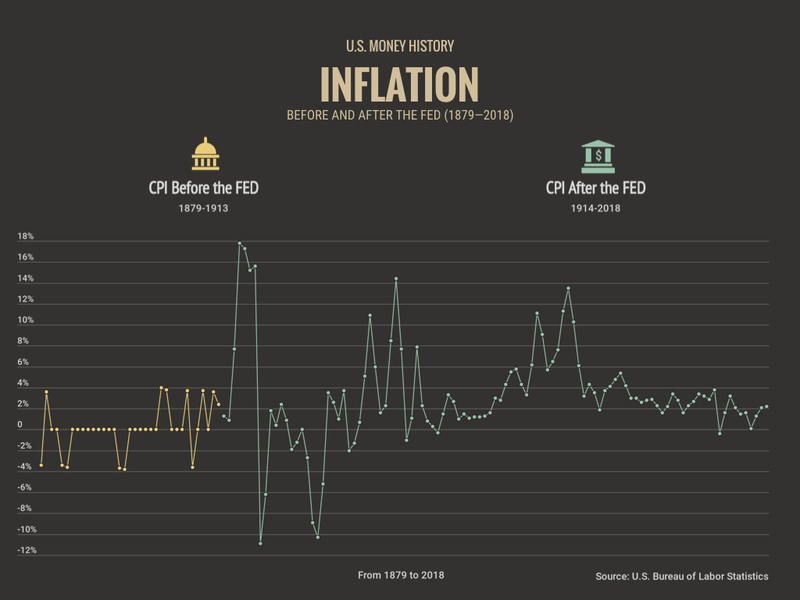 The second infographic depicts the CPI (Consumer Price Index) before and after the creation of the FED. In other words, inflation; the corrosion of purchasing power. Look how unstable it becomes a couple of years after the creation of the Central Bank. The CPI only becomes range-bound from 1984 onwards, some 70 years A.F (After the FED). If you search history deep enough, or even superficially, you will see that, even after the FED was created, the U.S. economy remained a complex and fragile system. Crashes, panics, liquidity problems and currency devaluation. What can be done in terms of wealth protection? You can’t end the FED, you can’t stop them from printing more money, injecting more gasoline into the fire. You can’t fix The Man’s flaws and strengthen his weaknesses either. That doesn’t mean you can’t do anything. In the last edition, we presented the first step you can take towards being in control of the situation, instead of a passive victim of the Fugazi: financial education. Once you’ve stepped into the domains of financial education, the second step is to become an Alchemist. Currency devaluation is as ancient as humankind itself. And so is Alchemy. Alchemy is the predecessor of chemistry; chemistry before the periodic table. By definition, it is a very old study and philosophy of how to change basic substances into other substances. 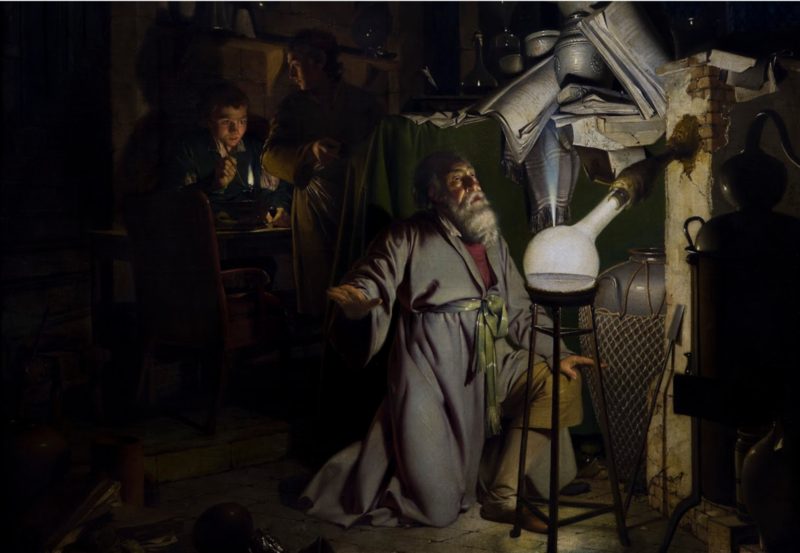 Alchemists were mainly concerned with the transmutation of matter. Inspired by this ancient science, we are going to transmute the matter, converting fugazi to real value. We are going to transform currency into Gold. Before you call us crazy and unsubscribe from the newsletter, think about it for a moment: we are not proposing you dress up like Asterix’s druid Panoramix, go to the next ATM, get some cash, go to a laboratory and mix it up with some weird chemicals. 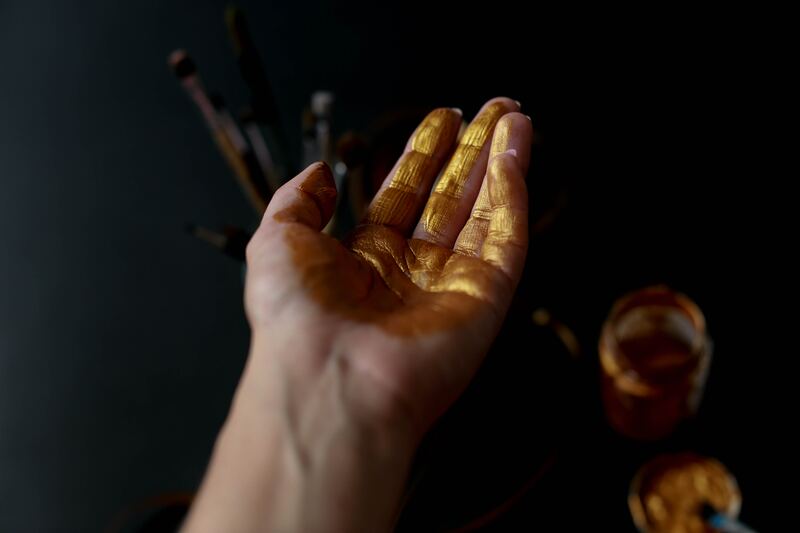 Instead, the process of converting fugazi to real value, which we refer to as Alchemy, is simply the process of cash flowing the markets against The Man, in whatever form he takes, and compound the gains to further acquire Gold and Silver. It doesn’t really matter if The Man is Central Banks printing too much money, governments going into too much debt or the next market crash. By cash flowing the market via a system like Personal Gold, you are taking advantage of the Man. By using part of the compounding gains to acquire Gold and Silver, you reach the status of Alchemist. This is the concept of Personal Infrastructure and best defined as a preemptive measure taken by an individual that will insure, protect, or enhance one’s self when a systematic breakdown occurs. While we insure practically everything in our lives, most people do not insure or protect against inflation, devaluation or the loss of currency. Personal Gold is the insurance system that protects against the biggest financial risk: the loss of currency. Dear readers, that’s it for November. Stay tuned for the December edition, the last sequel of the Fugazi series, where we’ll be talking about the Red Pill.